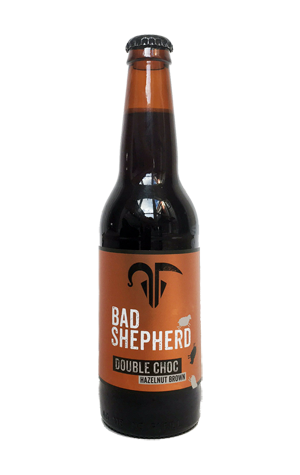 It may have been one of Bad Shepherd founder and head brewer Dereck Hales' favourites from his recipe collection, but it's doubtful he expected his Hazelnut Brown to be such a hit. Yet its combination of luscious hazelnut, chocolate, vanilla and Frangelico has provided not just a surprise punter favourite but one of the brewpub's biggest sellers out in the wider world. So, when it came to designing a beer with which to mark reaching one year in business, it was back to the Hazelnut Brown they turned. A bit like La Sirène when they decided to ramp up their Praline to imperial levels, for the birthday beer it was a case of turning up the dial on everything already in place – then adding cocoa for good measure. And presumably Dereck and co are happy with the outcome as everything from the original – chocolate, hazelnut, creaminess – is there but more so. There's a hint of liqueur booziness on the nose amid the opulence yet it still finishes surprisingly dry. As presents to yourself go, it's a good un.